Observation - Red Squirrel,Alverstone Mead Nature Reserve, Isle of Wight - UK and Ireland. 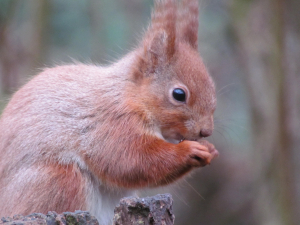 Description: This well behaved Red Squirrel was feeding close to the bird hide. This well behaved Red Squirrel was feeding close to the bird hide.